Spring is upon us and with the new season comes a whole host of fashion challenges. 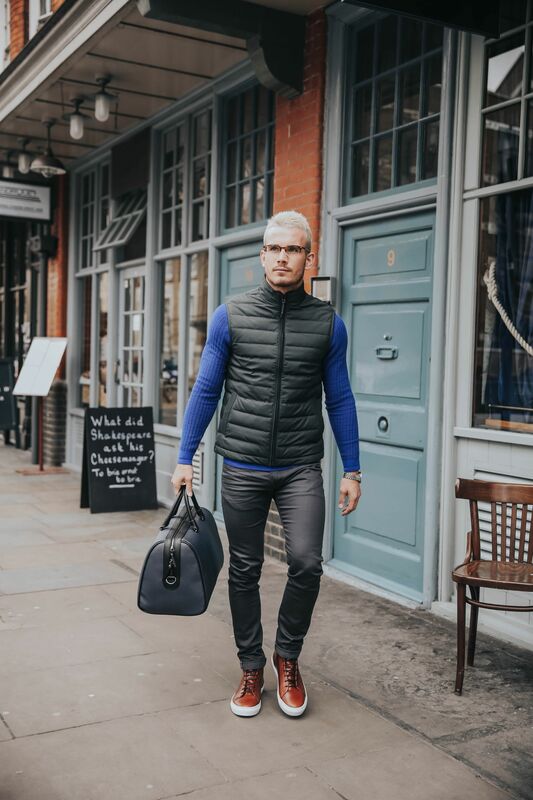 The weather is likely to be particularly volatile over the coming months and it’s important to plan your outfits ahead of schedule to avoid getting caught cold (and wet!). 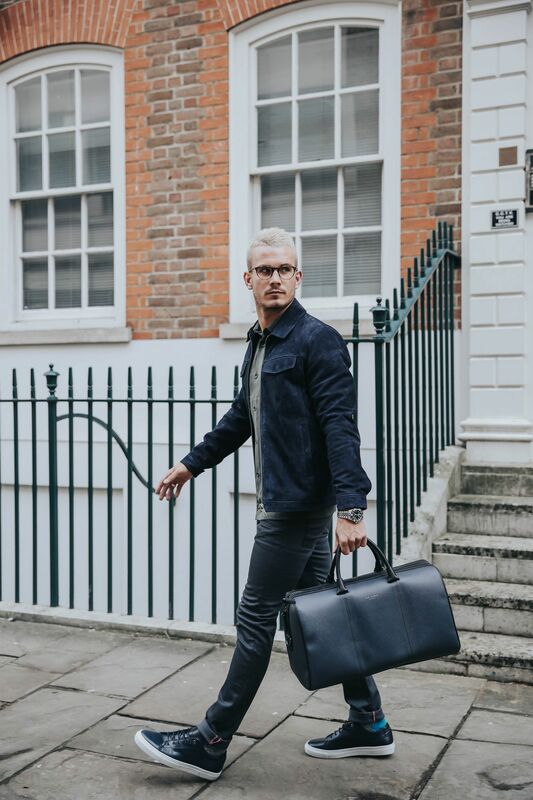 One of the toughest things about getting dressed in the early mornings is making sure that what you wear not only looks good in the office, but also makes sense for however you get there! When planning your outfits, a key place to start is your footwear. Always check the weather forecast that morning and keep an eye on your calendar; if you’ve got lots of meetings all across town you’ll need to focus on comfort and if you have a client event that evening, then of course your shoes must be sleek and a tad smarter. We all face different challenges during our working week, but one thing that remains a constant is the commute. It’s all too easy to slip into habits and the routine of wearing the same footwear, day in day out. 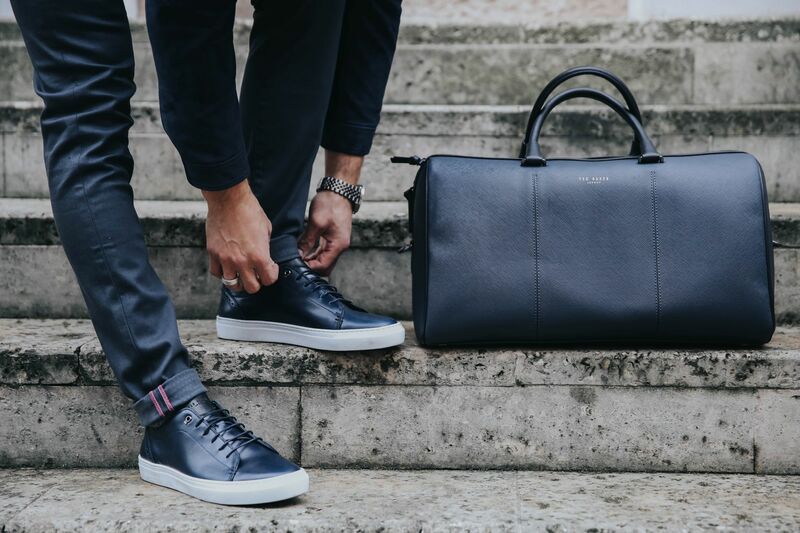 For 2018 why not mix things up and freshen up your shoe collection with a couple of versatile pairs to make that commute that bit more bearable. Dark green is a new fave and very on trend at the moment. When combined with a pastel colour, pink in this instance, it really works well and is a nice contrast. I’m particularly obsessed with this lightweight jacket, a fantastic addition for Spring given it’s durability and water resistant coating. When it comes to footwear, comfort is king. If you commute to work, chances are you’ll have to navigate a fair few steps along the way and every now again chase down the odd bus or train, so it’s crucial the shoes you have on are comfortable. 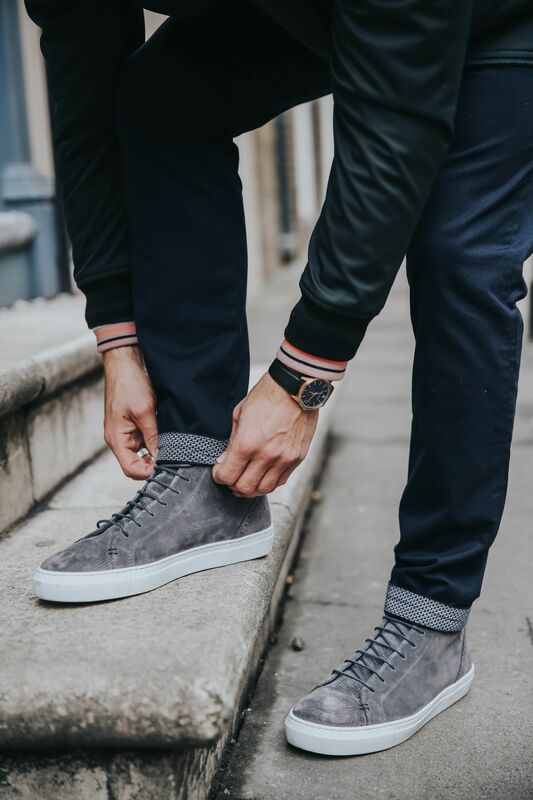 These brogue detail, suede hi-top trainers combine classic and contemporary and are great option for a smart casual outfit. The fabric for these sporty hi-tops is breathable and thus ideal for those hot tube or train journeys and walks to meetings. The thermoplastic sole makes rushing around town that bit more comfortable. 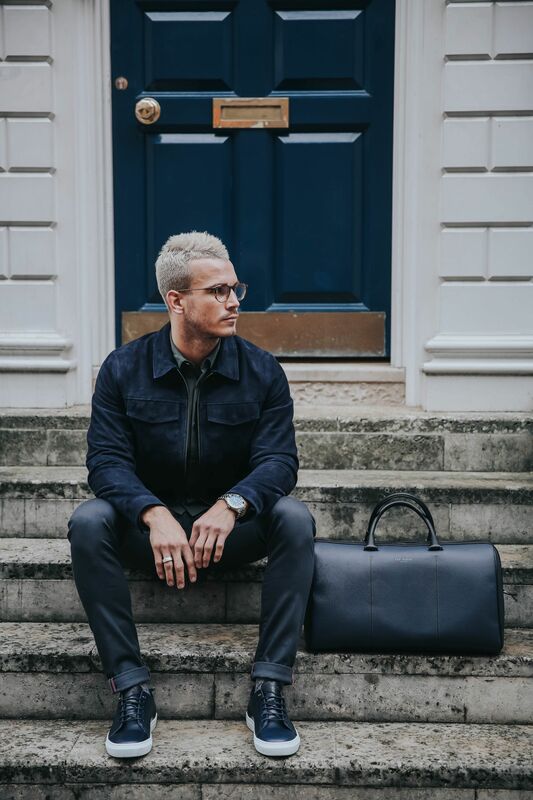 I particularly like the versatility of brogue style trainers, whether it’s with chinos, jeans or even tailored suit trousers, they always look slick and are a worthy addition to your footwear armoury this Spring, especially if you are looking for all-day comfort. *Top Tip – Invest in a suede spray to keep these looking sharp and in good knick. One key factor to consider when dressing for work should be your daily schedule; do you have meetings in the diary? If yes then you need to ensure what you are wearing is meeting appropriate, whilst comfortable enough for that commute into the office. 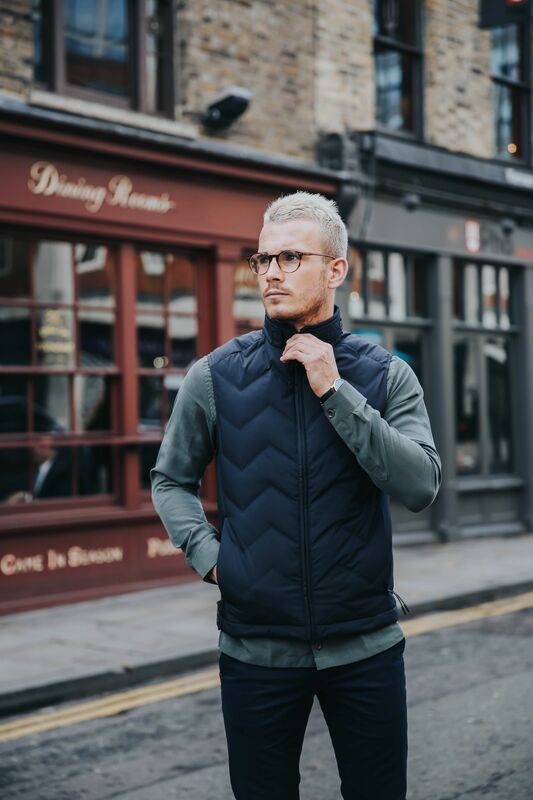 The gilet is a new favourite for me, incredibly versatile and the ideal top layer for the Spring months. 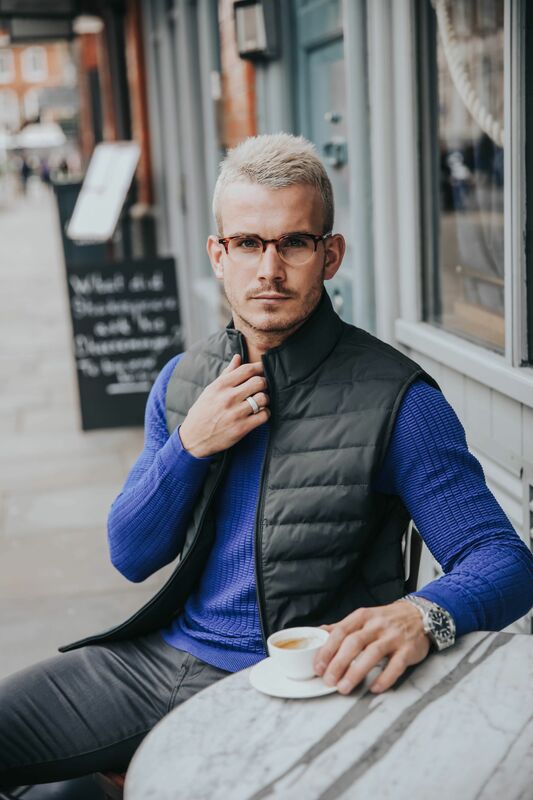 Layer the gilet with a colourful knit or jumper for the ultimate base layer and for a splash of much needed vibrancy. A common theme throughout my Commuter Guide is versatility and it’s not to be underestimated. Any fashion investment needs to be interchangeable and multi-purpose. Your average working day can be unpredictable at the best of times and wearing a versatile shoe can pay dividends if things change. These leather hi tops are a seriously versatile shoe and for me the perfect choice for an unpredictable day at work. Style these up with turned up tailored chinos or a fitted pair of jeans depending on circumstance. Pair these boots with a gilet for a smart casual look that will suit almost any weather condition. *Top Tip – Ted shoes come with 2 colour lace options, why not mix up the lace colours for something a bit more vibrant on an evening out in Town? 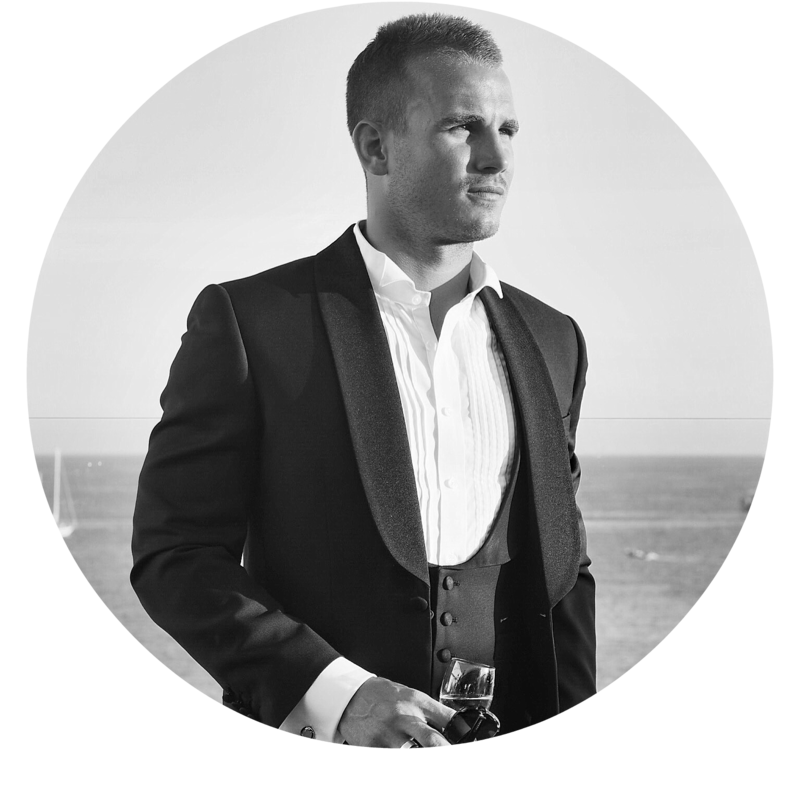 Sometimes you’ll need an outfit to suit both the day and night, with an evening event or client entertainment on the cards. I would always look to a classic button up shirt, it suits almost all scenarios and is the definition of smart casual. Pair with a suede jacket for a smarter look and for a much needed top layer. 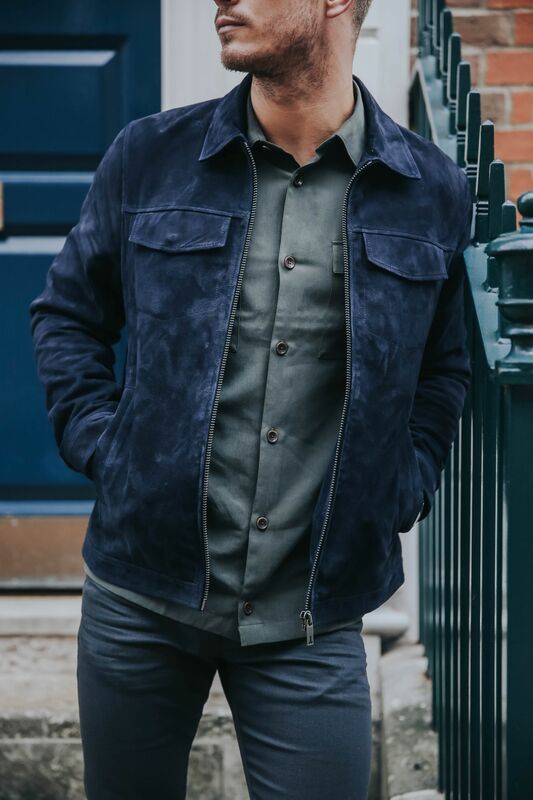 I like to add suede to my outfits for a different texture and contrast, just be sure to spray your jacket every time you wear! There really is nothing worse than stepping out of the house or leaving the tube station to find the heavens have opened and you’ve got suede shoes on. Invest in some comfortable puddle proof kicks this season to add a ‘spring’ to your step and keep you smiling throughout that commute to work. 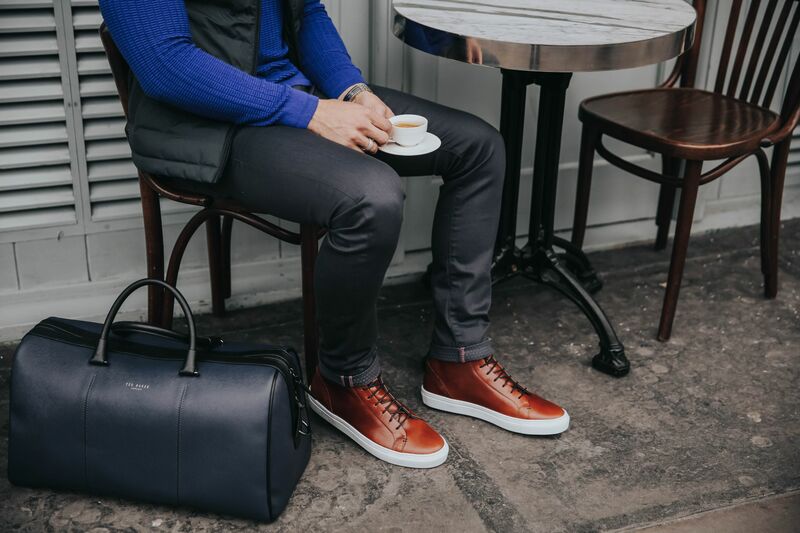 This pair of brogue detail leather trainers is the ideal addition to your commuter wardrobe. 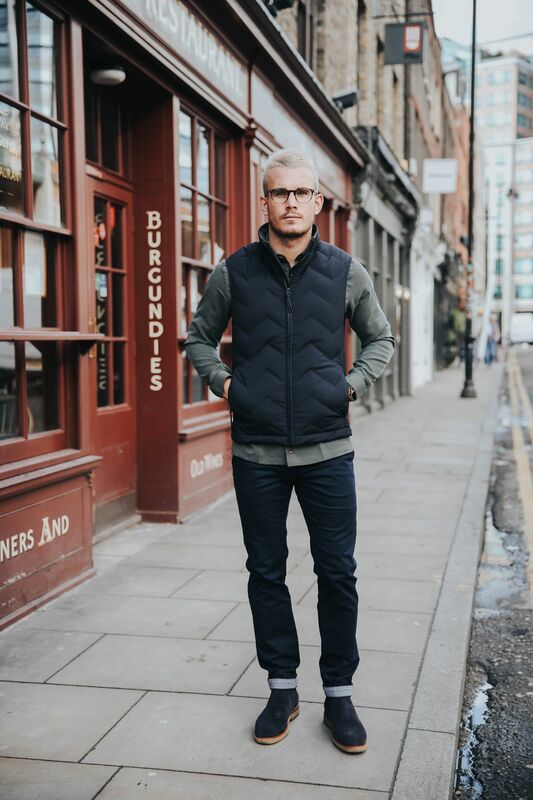 Equally at home with a pair of jeans or chinos, they are ultra-comfortable and very much ‘rain resistant’. *Top Tip – pair these with a pair of rolled up chinos or turned up jeans for the ultimate in smart casual. 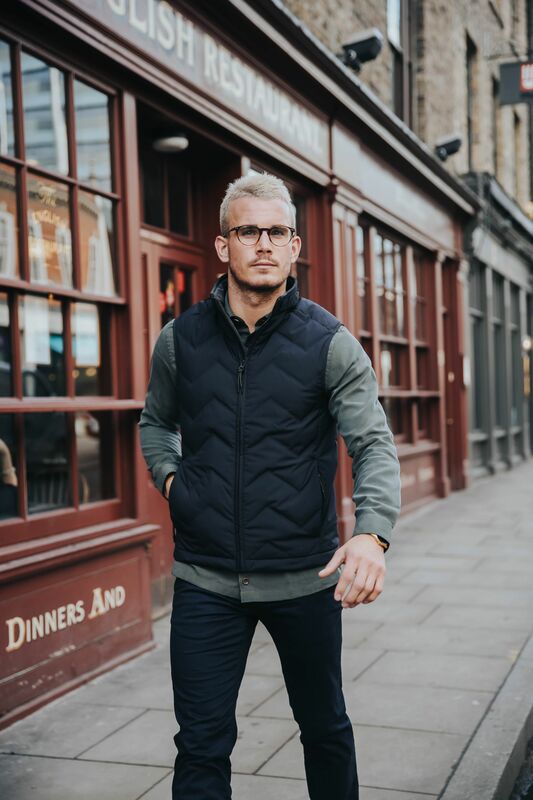 Gilet’s are very much on the way back up and can compliment almost any outfit this time of year. 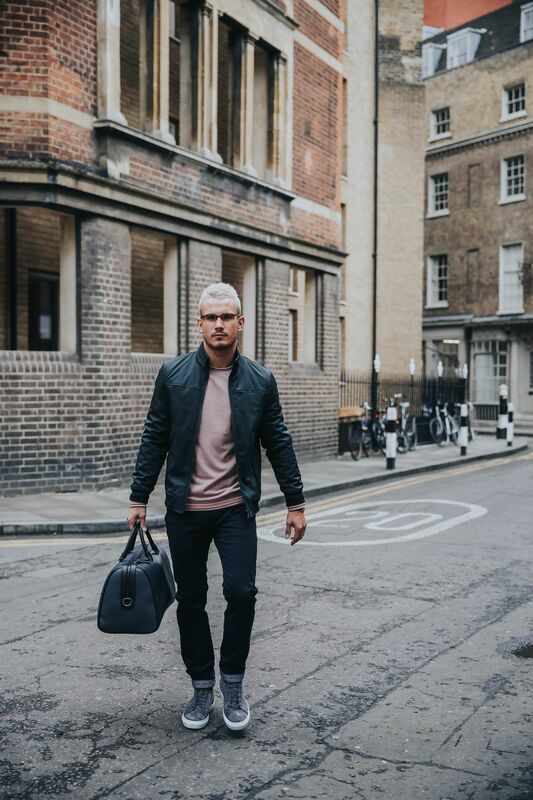 When styled with a casual shirt or roll neck they can look particularly slick and the different textures make for a nice contrast. For me, versatility is key to any fashion purchases and any items I invest in must have multiple uses. 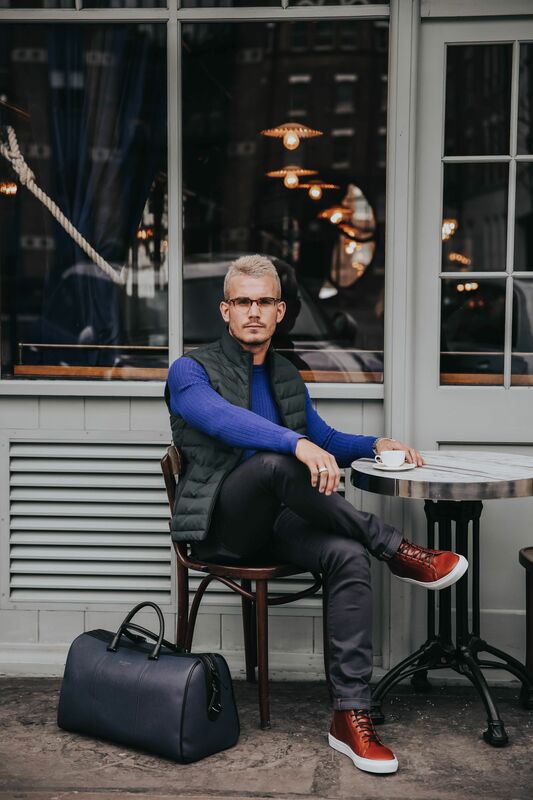 When picking footwear it’s important to have a couple of pairs of shoes that can be styled up for different scenarios and when it comes to commuter style this is particularly relevant. 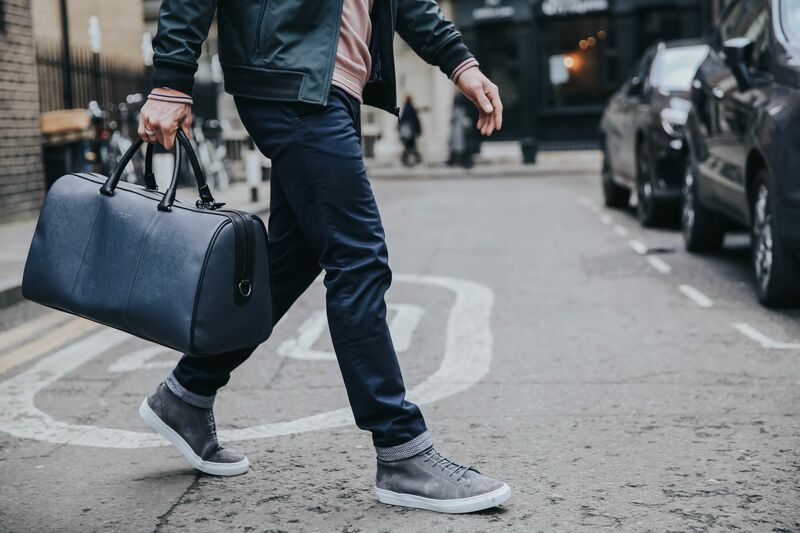 If you’ve got a day of presentations or meetings and then an evening of client entertainment, pick a pair of shoes that can be styled up to suit both environments. 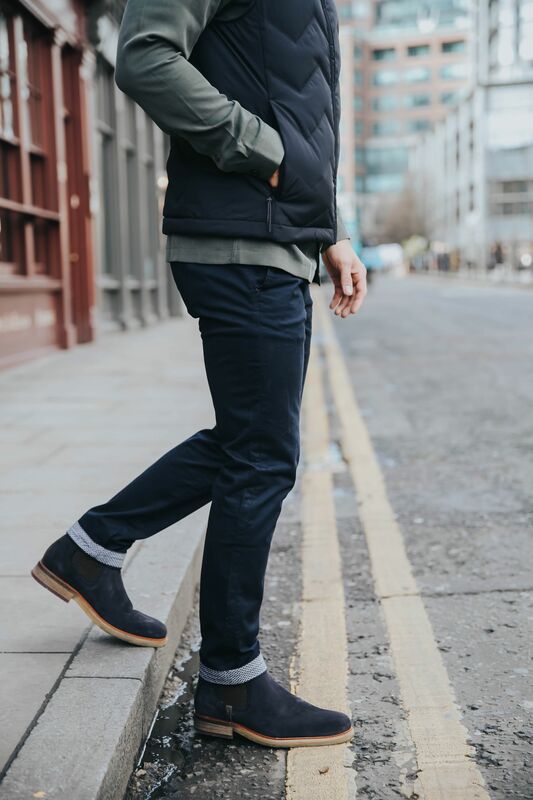 These navy suede Chelsea boots are the ideal solution and can be worn with both smart and casual outfits. The paisley detailing adds some colour contrast and the rubber sole means comfort is still a key factor. 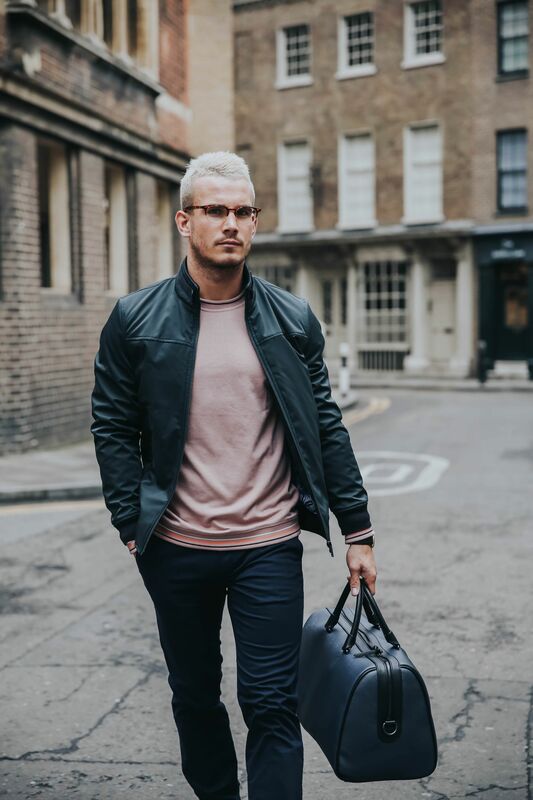 Whether it’s jeans or chinos, these are the perfect boots to upgrade your look at take things to that next level. 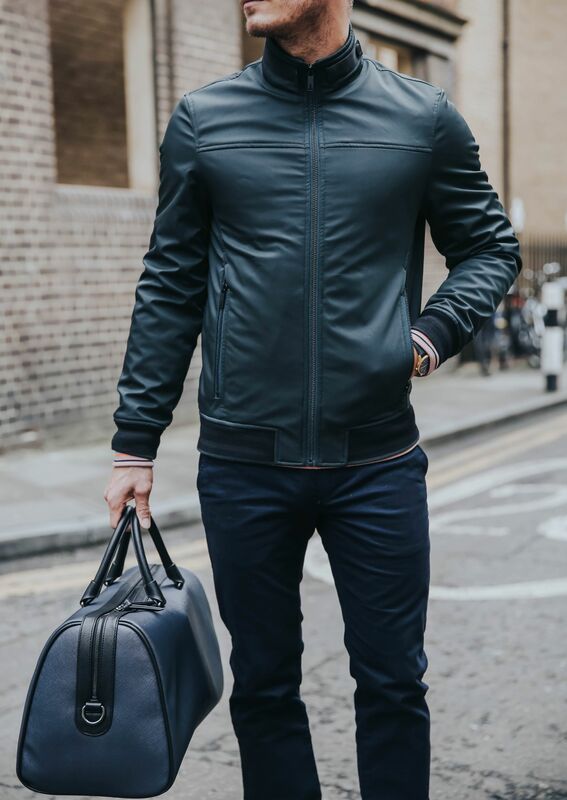 *Top Tip – Invest in a pair of Ted cotton chinos and turn up the hem to show-off the finer details of the boot. Whatever you choose to wear to work, you should never have to compromise on comfort in order to be stylish. How will you be styling up for the commute this season?